The Commission on Elections [COMELEC] expressed its dismay over hardheaded politicians violating their rules for fair and proper elections on the first day of the official campaign period. 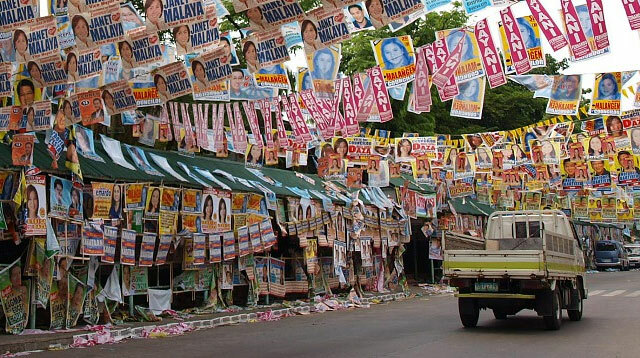 COMELEC Spokesman James Jimenez said he himself saw how campaign materials like posters were brazenly placed in prohibited places, Philstar reported. “As soon as I came out of my house I saw many campaign materials and those were major thoroughfares that I passed so it’s a little disappointing. I even saw posters nailed to trees,” he said. Jimenez said they will give a one-day deadline to the erring politicians’ camps to take down the illegal campaign materials they posted. Otherwise, the Comelec in cooperation with the Philippine National Police and the Metropolitan Manila Development Authority will conduct the Oplan Baklas drive. This initiative aims to remove the illegal campaign materials with dedicated teams from the mentioned Government agencies. “Please make sure that your campaign materials are posted only in common poster areas... let’s observe fair play,” Jimenez urged the candidates. He also reminded them that the COMELEC has existing regulations for campaign poster sizes that should be limited to 2x3 feet. “You cannot put each poster together to form a streamer. One poster will be letter ‘J’ while the next poster will be letter ‘U’ and then ‘A’ and until you form the name 'Juan,'" he added. In closing, Jimenez urged the public through a call to action to help in ensuring fair and proper elections by reporting candidates who violate any of their campaign guidelines. “Dear citizens, if other candidates are doing illegal posting, it is also wrong if your preferred candidate is the one doing it,” he stressed. The official campaign period which started on Tuesday is scheduled for ninety days and will subsequently be followed by the 2016 elections on May 9.